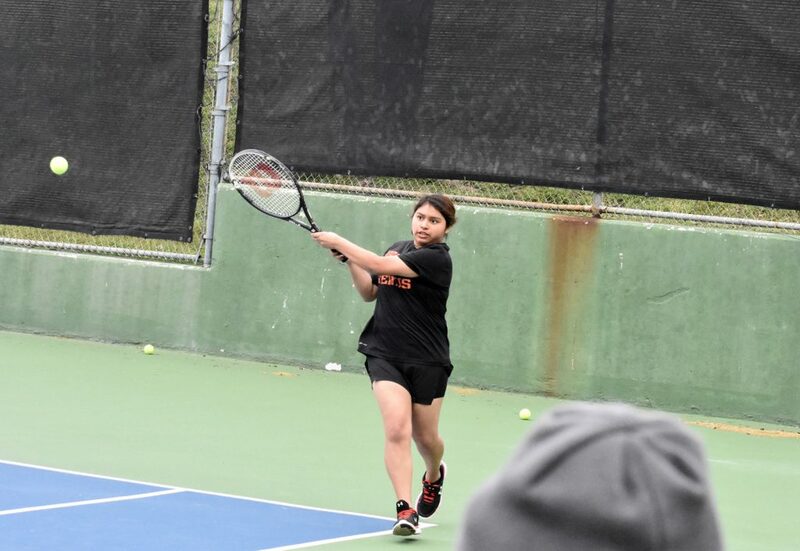 Sanam Kumar, playing against Lincoln during team tennis, is representing North Dallas heading into the regional meet. 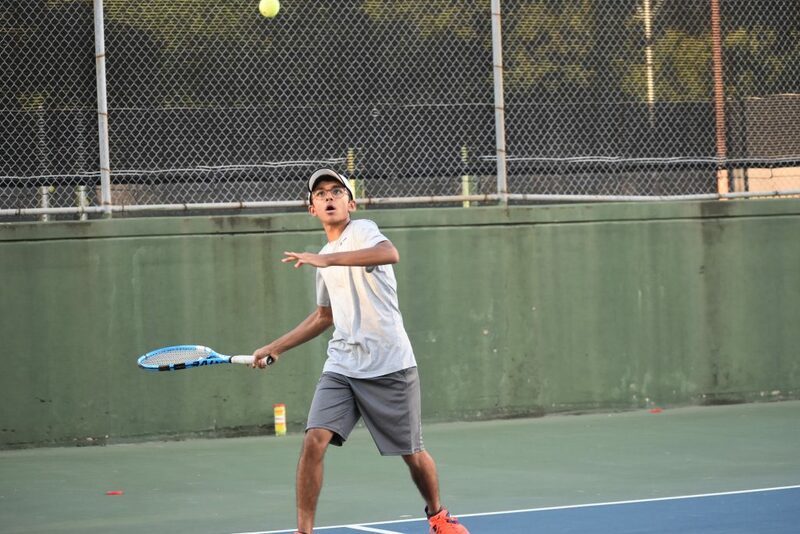 Sanam Kumar entered the District 12-4A tennis tournament last week as the top boys seed, and he did not lose a game — winning his matches by 6-0, 6-0 scores — en route to winning the singles title at Kiest Tennis Center. Sanam attends the Talented and Gifted program at Townview, but plays for North Dallas because his school doesn’t offer sports. He will advance to regionals at Longview High School April 17-19. “He played absolutely phenomenal,” North Dallas Coach William Prussack said. ” Sanam is a great kid overall. He’s a wonderful young man. His maturity level, his attention to detail, on the court as well as in the classroom. He’s a phenomenal student. 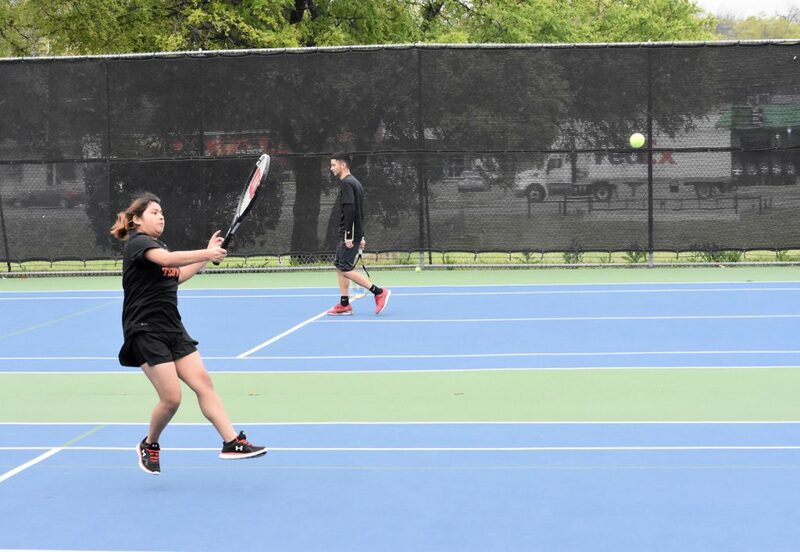 Yazzie Rojas and Judith Cortez took third place in girls doubles at the District 12-4A tournament. 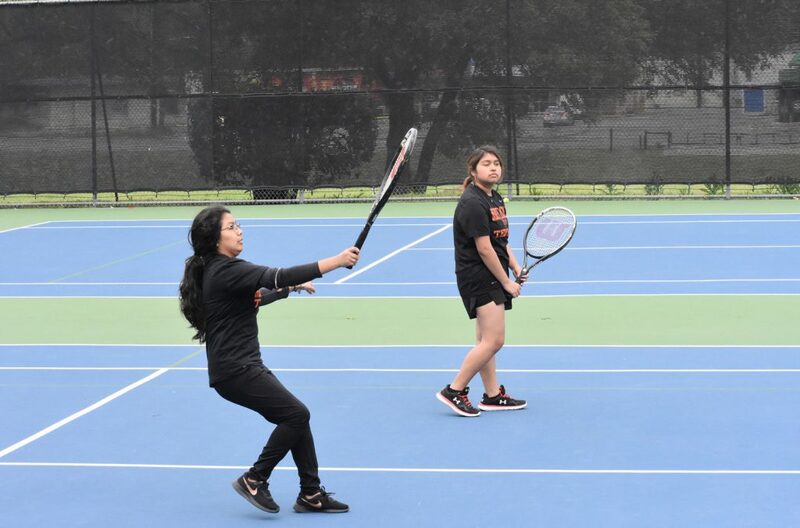 The Bulldogs’ girls doubles team of Yazzie Rojas and Judith Juan Cortez took third place in girls doubles and Lizandro Quiroz took third place in boys singles. But only top two advance to regionals. “The team has done well. They’ve really progressed,” Prussack said. “As you know, we won the championship in team tennis, but individual tennis is a little bit different. They’ve really grown. 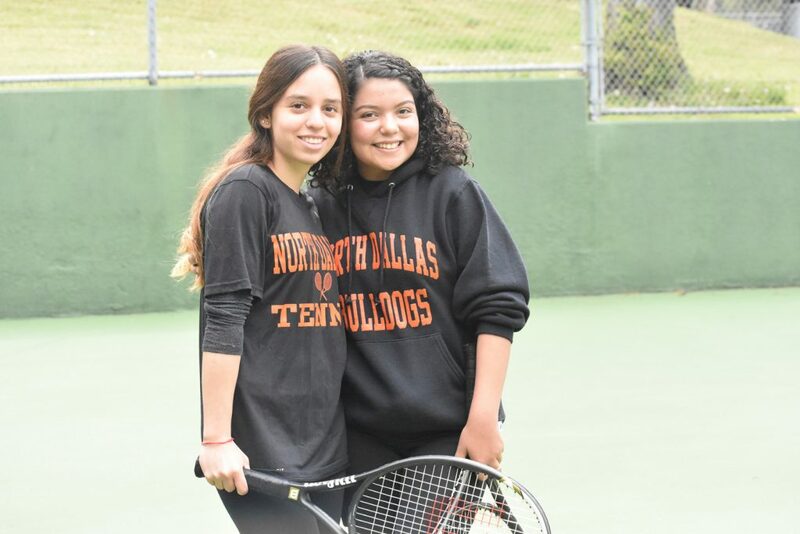 Also competing at district was Cristina Dominguez and Regina Vidal in girls doubles, and Sky Ramirez and Jennifer Lainez in girls singles. 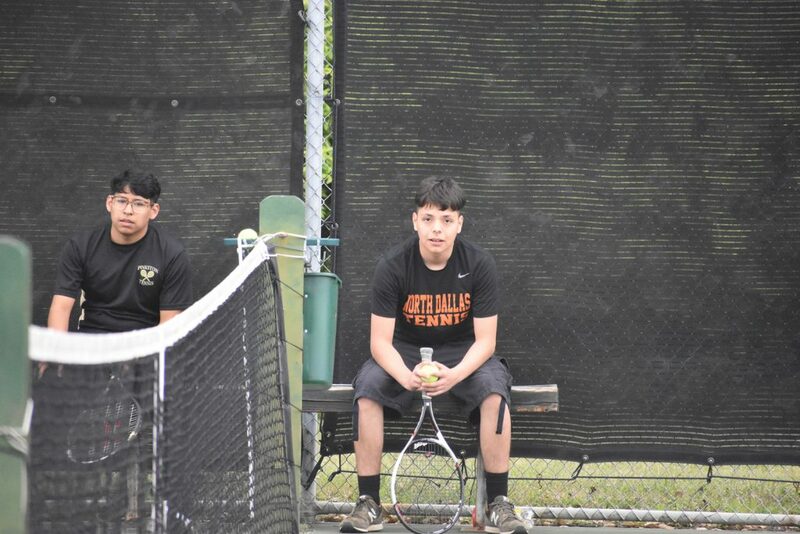 Lizandro Quiroz takes a break during a district tournament match. 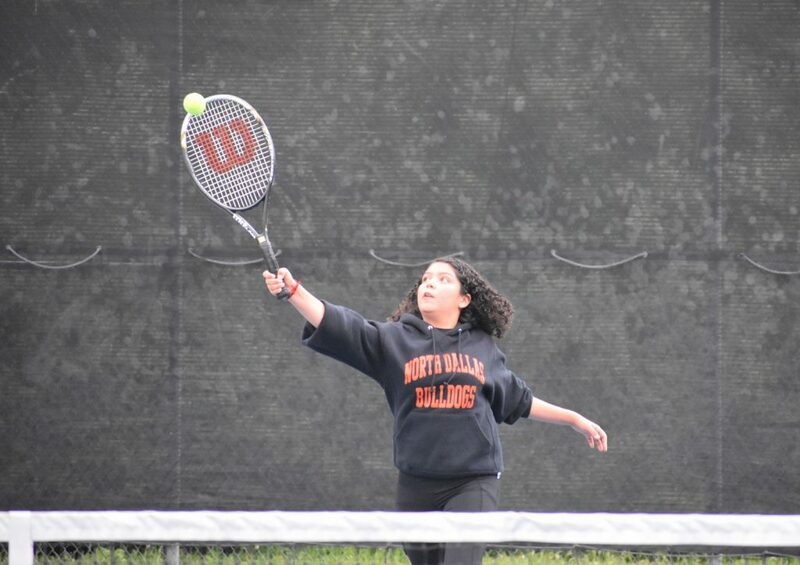 Sky Ramirez watches her backhand shot. 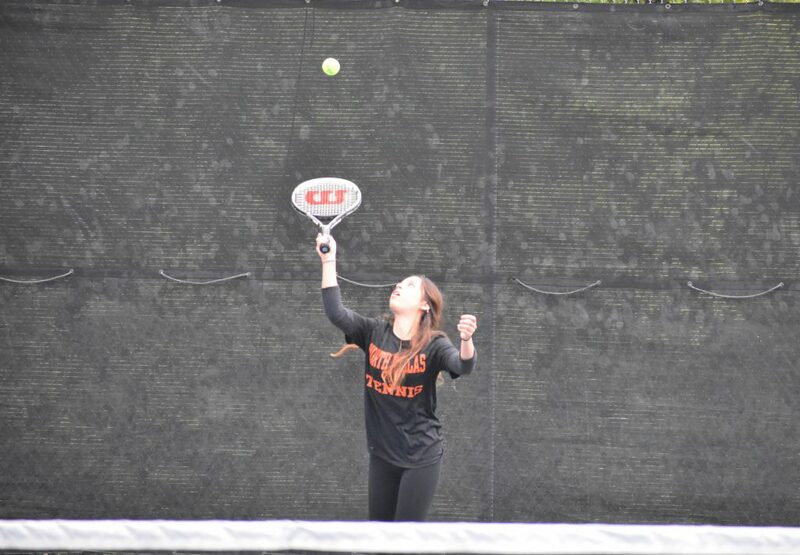 Sky Ramirez serves against her opponent from Carter. 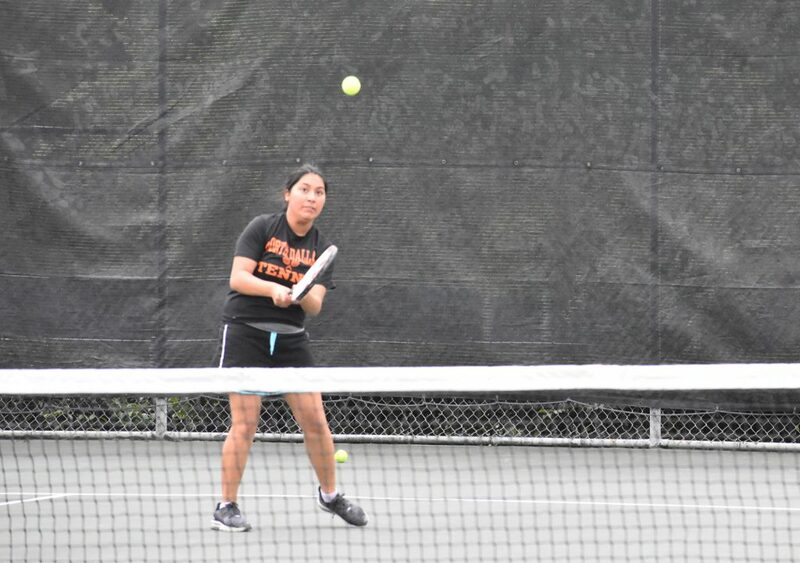 Jennifer Lainez competes in her second-round match. 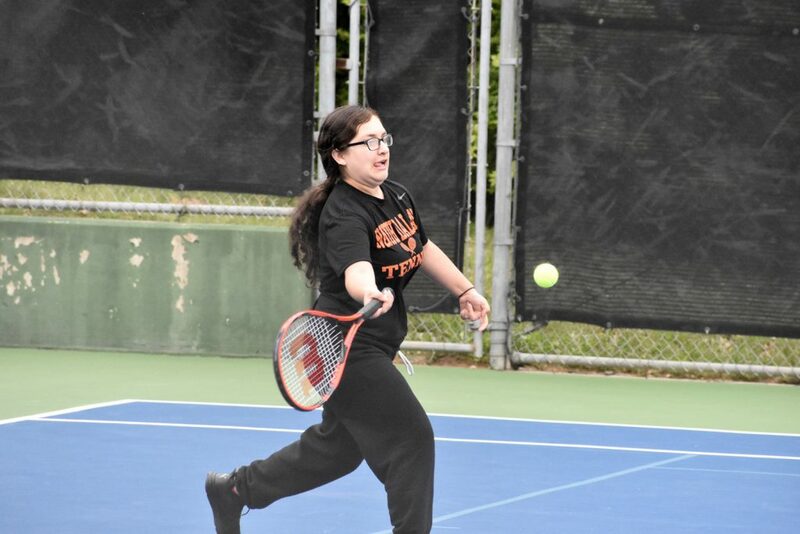 Jennifer hits a return shot during her tournament match. 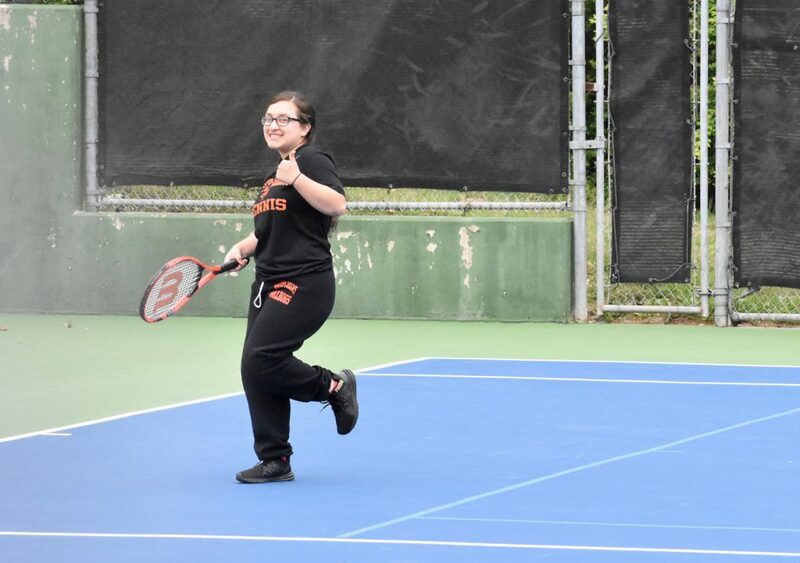 Judith Juan Cortez makes a nice backhand return. Judith moves in to make a return shot. 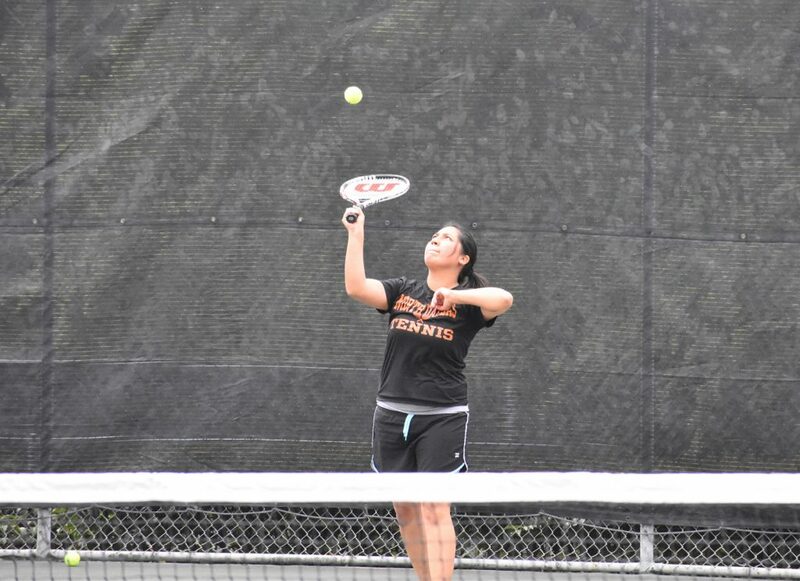 Cristina Dominguez reaches out to make a return shot. Regina Vidal and Cristina Dominguez advanced to the second round.